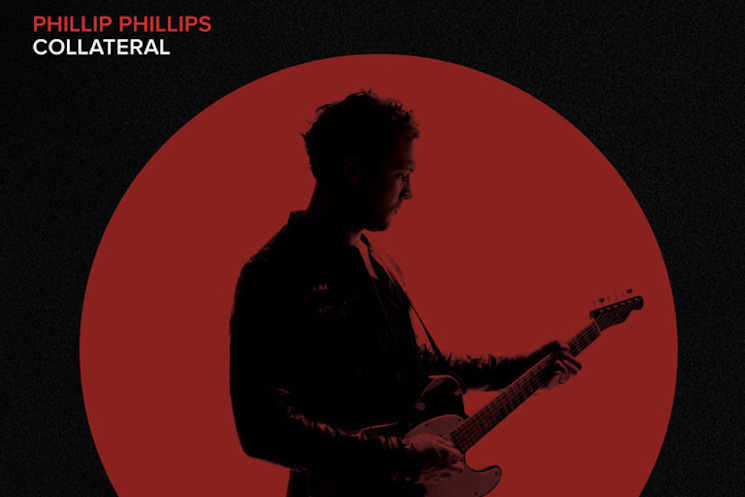 It stills feels so new, yet it’s been 10 months since Collateral, Phillip Phillips’ third album, has been playing on our phones, record players and sound systems. Received with unparalleled joy by Phillip’s fans when it was released on January 19, it is clearer now that the mood of the album is much more somber and understated than we previously realized. With some distance between the album and our emotions, we want to listen to Collateral and do a deep dive into some of the songs to help celebrate its first anniversary. Moving between introspection, melancholy and a desire to break free of the heaviness and the sadness, the songs in Collateral, taken as a whole, reveal a sense of loss—a loss of innocence, a loss of illusions, but also a better sense of the self, a “this is me, take me as I am” kind of feeling. 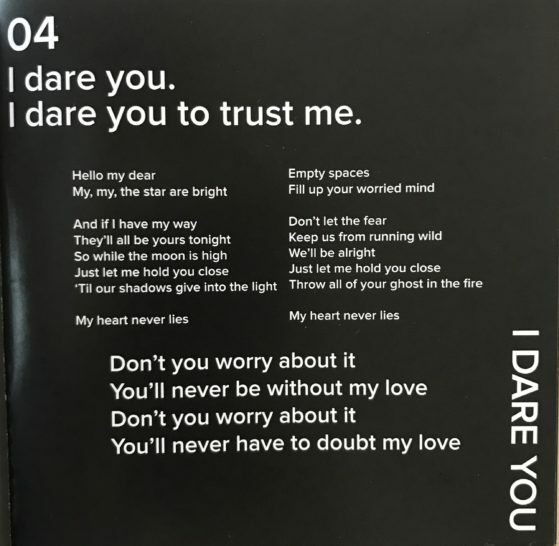 “I Dare You” belongs to the group of songs where Phillip seems to want to break free, a category where “Miles” and “Into The Wild” also fit. The song may have been one of the earliest that Phillip wrote, dating back to March 2015, when Phillip joined a USO tour that took him to a number of military bases around the world. Later, he enlisted his friend, singer, guitarist, and songwriter David Ryan Harris— also a co-writer in “Alive Again” and “Tell Me a Story” — to help him finish the song. As it was the case with those two songs, the collaboration proved once again to be magic. Easily one of the most rich and lush recordings in the album, “I Dare You” is a retro, cinematic, dreamlike fantasy. Lead by a gorgeous crisp guitar riff and Phillip’s warm vocals, the song fully embraces its 1950s R&B feel, both through its lyrics (“My, my, the stars are bright” comes to mind), the sweet backing vocals, and the pizzicato strings subtly accompanying the verses. Though the entire song is unique and surprising, three things stand out in “I Dare You”: the first is the beautiful chorus, the interval between the low “I dare” and the high “you” being just one of the examples of how Phillip pushed his singing to new heights in the album. Try singing it—correctly—and you’ll see is not that easy. Though it would be hard to top that solo in any song, Phillip manages to do that with the gorgeous ending of “I Dare You,” a breezy, instrumental outro which Phillip and band explore and let play out for a whole minute and sixteen seconds of pure musical magic. If the solo has begun the ascent, now we have surely reached the clouds. This is what the lyrics have been trying to say all along, “trust me, we’ll be all right,” the lesson being that if we let go of our fears, we will be able to experience life more fully, and even perhaps be witness to unimaginable beauty, the sublime: a dance in the sky may be beautiful, but also a little bit scary. Cinematic strings, playful sleigh bells (have you heard them? ), the romantic piano and warm drums, Phillip’s gorgeous vocals – everywhere there are careful and inspired choices in this song, it is a jewel among many in Collateral, and a moment of respite from the heavier, more somber themes and feelings that lay ahead in the rest of the album. Guitar solo clip via Phillip Phillips’ Instagram. Still don’t have Collateral? Visit Phillip Phillips’ official site to get it!